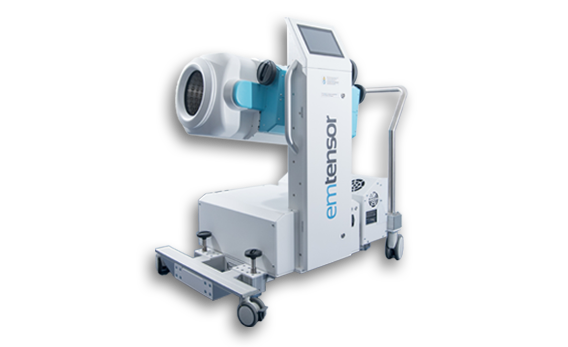 The new, patented imaging method is based on electro-magnetic tomography. A special feature of the technique is that both the anatomical structure and the functional properties of the human brain can be displayed. The method is completely safe to the patient therefore multiple scans can be performed throughout the entire rescue chain from ambulance to hospital bed in the clinic. This allows the doctor to initiate the treatment at an earlier stage. The diagnostic unit may also remain with the patient during the treatment process allowing the doctor to monitor the state of the brain on the basis of the 4D images. Complete mechanical product development using core technology with concept-setup for mechanics, cooling, assembly and statics. Mechanical design with component selection and procurement. Support in device usability study for later use in the clinic.